Easily my favourite series of books. When I read these I don't even know if book blogging really happened. I could have done with the book blogging community back then though!! I read these a little while before I started blogging. To be honest if I had of review Poison Study it would have been one big gush fest. I loved it just a bit!! 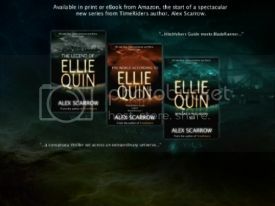 This is one of the first books I read after devouring the Twilight books. Such a beautiful story, that I go on about rather a lot!! If I had written a review about these back when I read them again it would have been a big old love review. Was I to review it now, I think it would be rather different. I can see a hell of a lot of faults with it now that I didn't at the time. That's not say that I don't like the books anymore. They will always hold a little part of my heart. This was a slightly unexpected love of mine. Boy did I love this!! Was a nice change from vampires too! WOW what an introduction to the world of Cassie. I wish I'd started reviewing books from the very beginning! Wouldn't it be fun to look back and see what you thought of books when you were ten? Or fifteen?! Here is my It's Top Ten Travel Narratives. I hope you will stop by! I loved A Great and Terrible Beauty. One of the things I love about blogging what I've been reading is I have a history to look back on. So, yes, I wish I had gotten into book blogging earlier. I enjoyed the list. Great list! Like you, I absolutely loved Twilight when reading them but not sure how they'd hold up now - at that time I'd read relatively little YA for a few years and I think the amount of brilliant stuff I've read since probably leaves them looking not quite as good. Still very glad I read them, though. 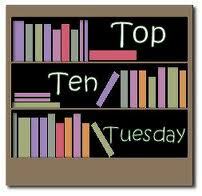 I chose top ten heroines this week - check it out at YA Yeah Yeah if you'd like to.